Dementia and Alzheimer’s care services are available to help care for your loved one, wherever he or she calls home. 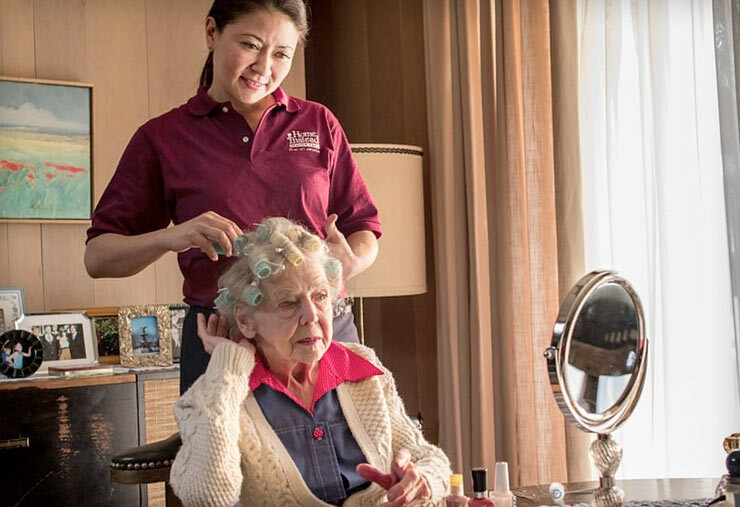 Home Instead Senior Care®, the world’s leading provider of in-home care services for seniors, provides personalized care, support and education to help enhance the lives of aging adults and their families, including those who have been affected by dementia. The Home Instead Senior Care® network’s person-centered approach to Alzheimer’s care, backed by advanced research and CAREGiverSM education, can help seniors cope with the challenges of Alzheimer’s while enabling them to continue doing what they can on their own in the comfort of home. Home Instead’s unique Alzheimer’s and dementia training program was developed as part of its CARE: Changing Aging through Research and Education® program. Home Instead Senior Care worked with David Troxel, Alzheimer’s disease and memory care expert, as well as Dr. Amy D’Aprix and the Center of Aging Research Education Services (CARES) at the University of North Carolina Chapel Hill, to create a training program that equips CAREGivers with the latest care techniques based on sound research and experience. Techniques to Help Manage Behavior—CAREGivers use techniques such as giving simple choices and redirecting, allowing the senior to remain calm and safe at home. Encouraging Engagement—Engaging seniors throughout the day builds self-esteem, enhances physical strength and reduces behaviors that need to be managed. Using techniques and activities, CAREGivers focus on the seniors’ mind, body and soul. Supporting the Family—CAREGivers understand the struggles and challenges that accompany caring for a loved one. They are trained to work closely with the family and have open communication, which results in quality care for the senior. Home Instead CAREGivers trained through the Alzheimer’s or Other Dementias CARE: Changing Aging Through Research and Education Training® program have a passion and desire to work with Alzheimer’s or dementia clients, and receive ongoing classroom training. CAREGivers receive this training in addition to a multi-phased safety and caregiving education program, so you can rest assured your loved one is with a trusted, well-qualified professional. Based on the symptoms and stages of your loved one, we can help determine the best plan of care for you and your family.